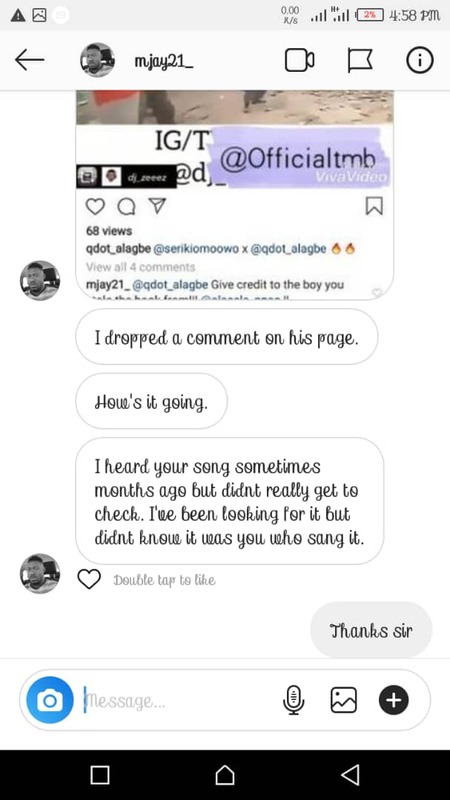 He's trying to the public know that the song does not belong to QDOT. 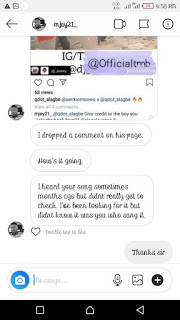 The Leg Work and Show Yourself crooner is finding it disturbing Due to the new song IJO (Jensen) by Seriki X Qdot using is hook janse mole without is consent which is unprofessional after he had to tag qdot and others to help him support the song Leg Work which Seriki and qdot later stole the hook of the song for their own use. 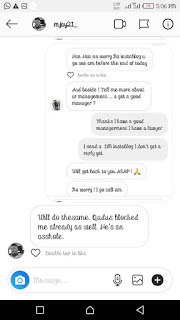 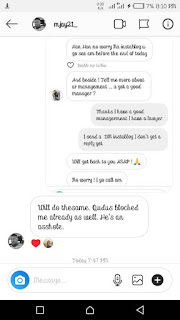 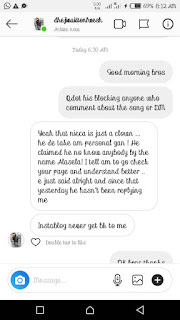 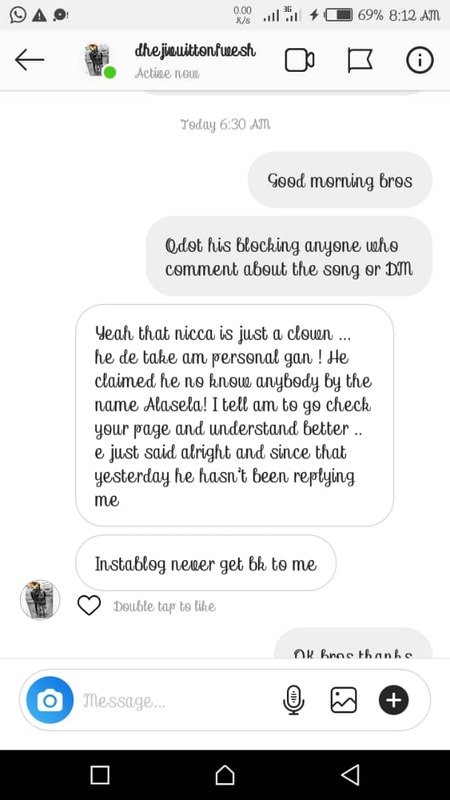 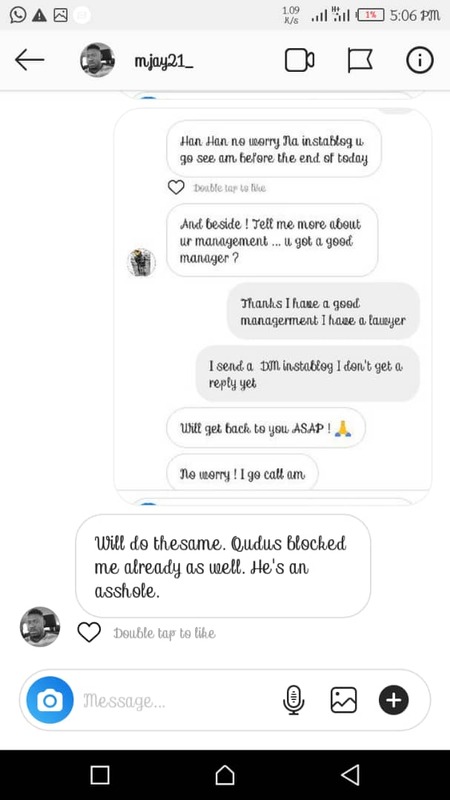 But during our interview with the Alasela, he let's know that Qdot stole his song from his IG page after he has been tagging and other celebrities for help and support. 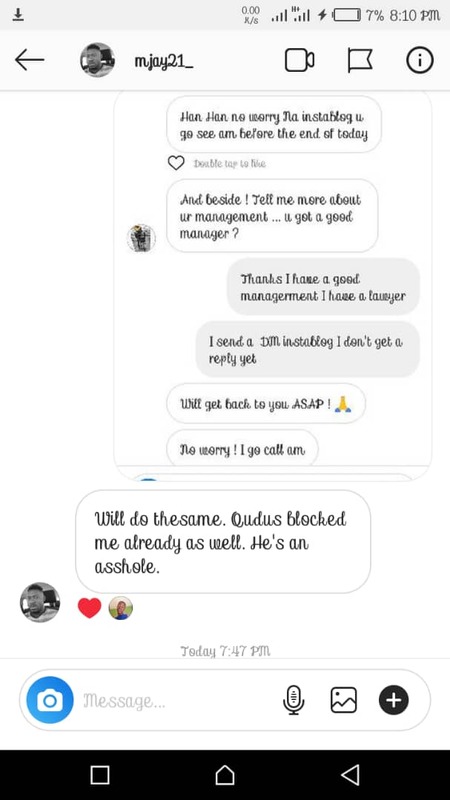 But unknowingly, Qdot went back to commit plagiarism which is unprofessional.